WASHINGTON — United Launch Alliance won a NASA contract Jan. 31 to launch a planetary science mission in what the agency said was a competitive procurement. NASA said it will use an Atlas 5 401 from ULA to launch its Lucy mission in October 2021 from Florida. The total launch cost, which includes the launch and “other mission related costs,” is $148.3 million, according to a NASA statement. Lucy is one of NASA’s newest Discovery-class planetary science missions, selected in January 2017 simultaneously with the Psyche mission to the asteroid of the same name. The spacecraft will, over the course of its 12-year mission, fly by one main belt asteroid and six Trojan asteroids orbiting the sun in the same orbit as Jupiter. Scientists believe those Trojan asteroids are remnants of the primordial material from which the solar system formed. “We could not be more pleased that NASA has selected ULA to launch this amazing planetary science mission,” Tory Bruno, president and chief executive of ULA, said in a company statement. 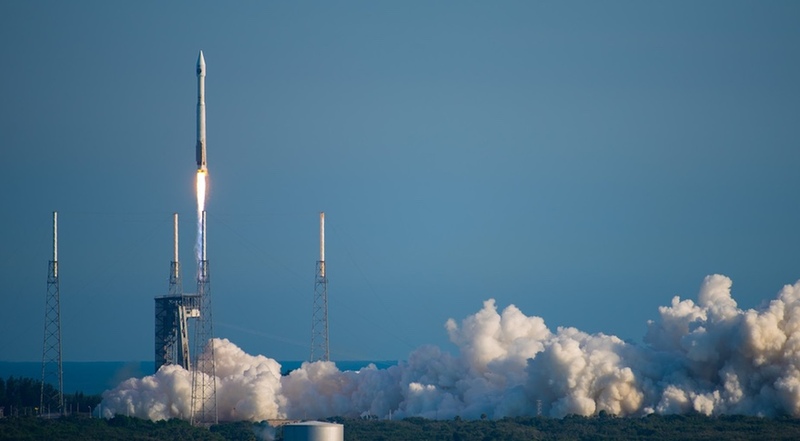 He said the Atlas 5 and its “world-leading schedule certainty” made it the optimal vehicle for this mission, whose complex trajectory gives it a narrow launch window. ULA, in its statement, said it received the contract as a “competitive Launch Service Task Order evaluation” under the NASA Launch Services 2 contract. NASA spokesperson Tracy Young confirmed Feb. 1 that the contract was a competitive procurement, but that the number of bids and the identity of the bidders is considered proprietary. If a second company did compete for the contract, it would most likely be SpaceX, which would offer either its Falcon 9 or Falcon Heavy for the mission, depending on performance requirements. SpaceX did not respond to a request for comment Feb. 1 regarding whether it bid on the mission. The value of this contract is slightly less than the one ULA received from NASA in October 2017 for the Landsat-9 spacecraft, also launching on an Atlas 5 401 but from Vandenberg Air Force Base in California. The Landsat-9 launch has a total cost to NASA of $153.8 million.